The best physiotherapy practice requires the appropriate equipment and space to be effective. 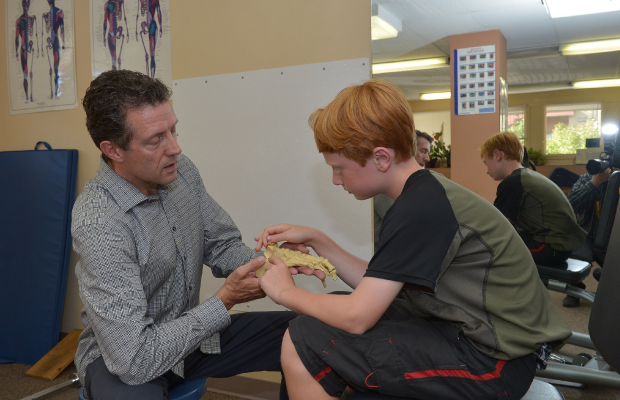 These include the most important pieces of assessment equipment: the therapist’s hands, eyes, and experience. 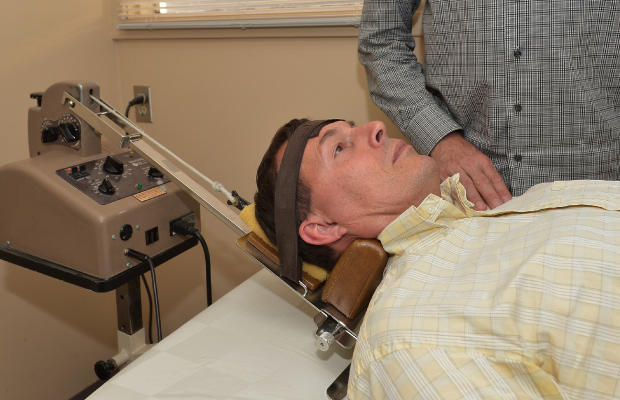 Other pieces of equipment or specialized programs can aid in the treatment of various injuries and illnesses. 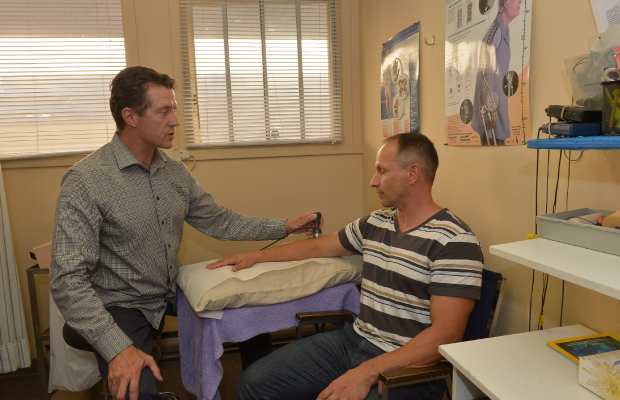 At Town and Country Physiotherapy, we are fortunate to have 1,500 square feet of treatment and rehabilitation gym space, with eight treatment beds and up-to-date diagnostic and therapeutic equipment used in evidence based practice and research. Manual Therapy: Includes many things, but specifically regarding mobilizing joints to ensure adequate kinematics, appropriate ROM, joint nutrition and elasticity. 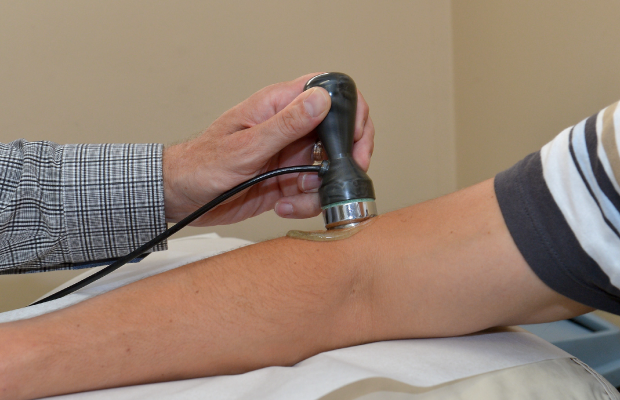 Pressure and Electrical Biofeedback: Gives patients instant information about muscle recruitment, contraction intensity, and compensatory behaviors. Outcome Measures: Roland Morris, NDI, DASH, LEFS, and others provide objective measures of patient’s progress and performance in standardized format. Electrotherapeutics: Laser, Ultrasound, IFC, TENS, NMES, can be used during acute stages to reduce edema/swelling and inflammation, promote wound/scar healing, provide pain control, and external neuro-muscular stimulation. Athletic and Supportive Taping Techniques: Provides protective and supportive proprioception during the acute healing phase and maintain proper alignment for chronic joint conditions. Decompression Traction: Spinal decompression, disc pain relief and centralization, normalize mechanics and speed recovery of overload and compressive injuries. Prescribed Exercise Therapy: To remediate muscle imbalances, strengthen weak areas, stretch tight muscles, and increase personal responsibility for success. Home Visits: Provides physiotherapy treatments for individuals within the comfort of their own residence. Home visit physiotherapy treatments makes sense for many people who have suffered a stroke, severe injury or surgery and are unable to attend in-clinic. Often there is a need to increase strength and endurance, and provide gait retraining in anticipation of being able to attend in-clinic. Educating care-givers and coaching family members eager to assist in the process is fundamental to progress towards independence. Custom Orthotics: Custom orthotics assist in correcting support, posture and walking mechanics. We provide foot casting and full biomechanical-gait analysis to correct specific foot imbalances, alignment, pressure points, and strains on ankles, knees, hips and spine. We are pleased to provide the best quality orthotics available from the Orthotic Group’s state of the art laboratory. Stop Smoking with Laser: Uses acupuncture points and education to reduce addiction cravings and adopt a healthy lifestyle.